Posted in Tourism and tagged camping, Quandamooka, Straddie, tourism. 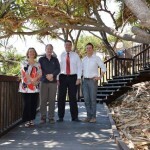 Posted in Tourism and tagged environment, Straddie, tourism. Posted in Environment and tagged ecosystem, Moreton Bay, waterway. Posted in Business and tagged business, Cleveland, economic development. Posted in Community and tagged children, swimming, Victoria Point. Posted in Environment and tagged pontoon, Weinam Creek. Posted in Environment and tagged koalas. Posted in Get the facts, Meetings and policies and tagged school-age care.